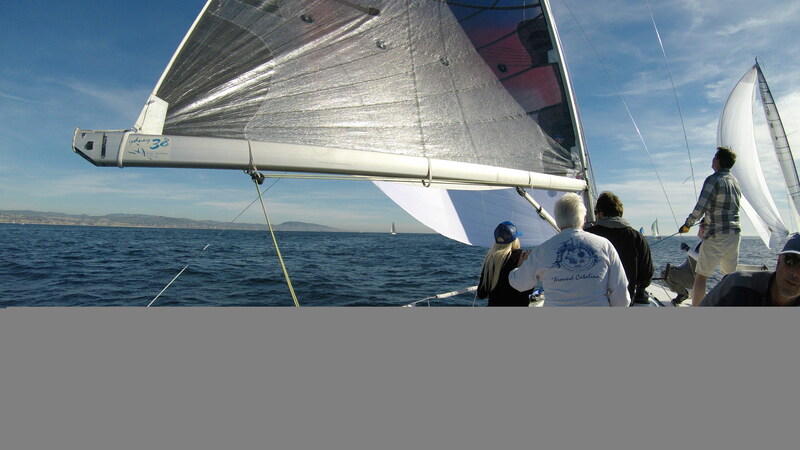 The season sailing in Southern California is in full swing and the weather has been cooperating in a great way! 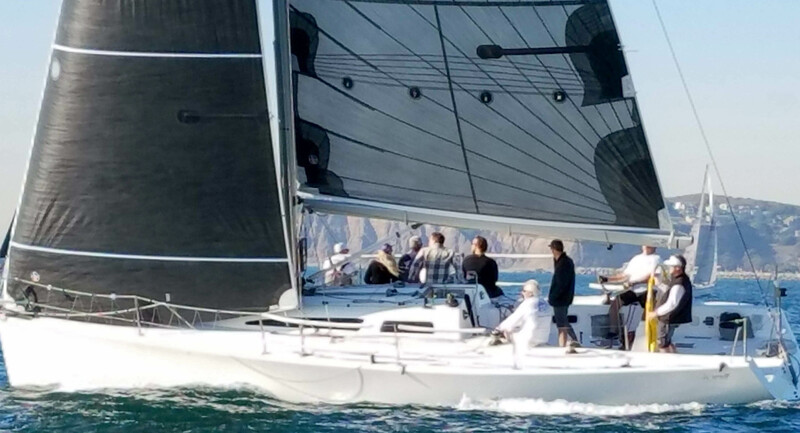 Dana Point Yacht Club hosted their second race of the year and I went sailing on the Sydney 38 “Spirit” owned by Chuck Bayless. It is the start of a new era on a new boat for Chuck. He moved on from his Henderson 30 towards the end of 2017 and is campaigning Spirit for the new year. Starting on a new boat can be challenging and it is important to look at the big picture from the beginning. Chuck outlined a plan for 2018 and is focusing on coastal racing with the Newport To Ensenada Race being one of the main highlights. Part of the plan was to address the sail inventory and fill some gaps where needed. After some discussion we decided on a 1A, 2A, Light Jib and a Code 0. This will address a majority of the conditions we see in Southern California when coastal racing. We started the day trying to do a little practice in some light conditions. We hoisted the new Light Jib and got the leads set up. The new jib looked fantastic! The FiberPath Plus is proving to be a beautiful product and the sail came out smooth. 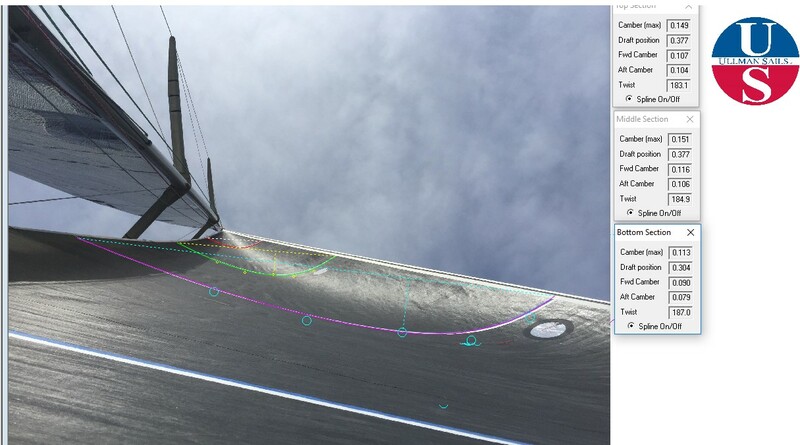 Below in the picture, the sail is a max trim. Possibly even a little over trimmed as the middle (green) draft stripe is turning in a bit. This would be a good setting if we were trying to make a mark or trying to pinch someone off. We encountered a bit of a delay as the race committee waited for the westerly breeze to fill in. The wind filled in and the RC got things underway. 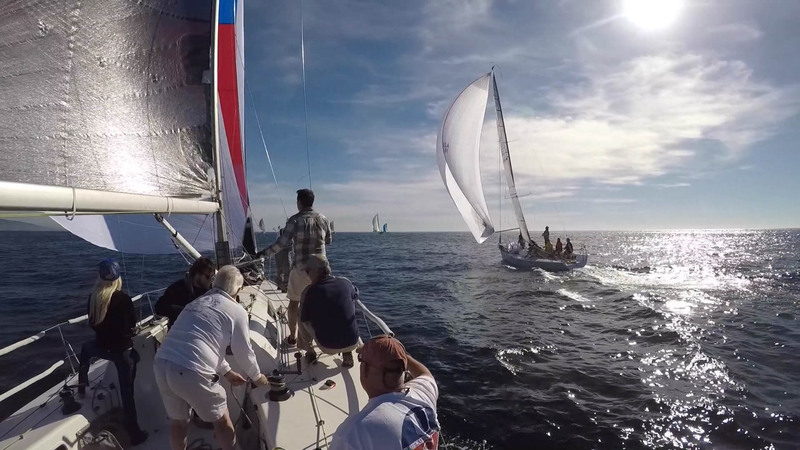 The race proved to be a tight one and our fleet (PHRF A) was compact and tight. We had out ups-and-downs and even led the fleet at one point! The Sydney 38 is a beautiful boat and we were thankful to get a bit of wind to push her along. Start-We were over early due to confusion in the cockpit. It is important to ensure that everyone’s task is defined and we neglected to cover this in detail. Chuck ended up getting two sets of instructions which caused the mistake. This could be resolved with a crew meeting. Upwind Leg 1-Recovered nicely and got to the right side of the course in clear air. 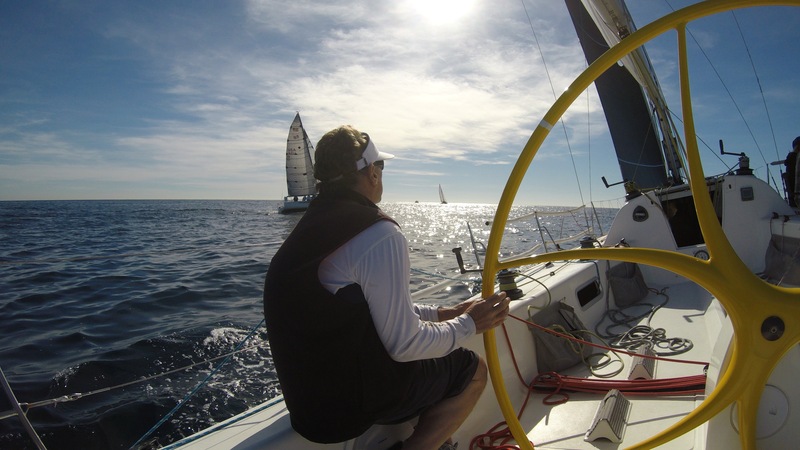 We tacked on lay-line behind the Farr 30 and rounded second. Mark Rounding-We had a decent set and the 2A was flying quickly. We can improve on getting the jib down a little quicker, but the crew work was solid and the kite was full. Off the wind we had great speed! The Farr 30 was doing a great job keeping us at bay, but we eventually rolled over the top of her as we approached the jibe mark. 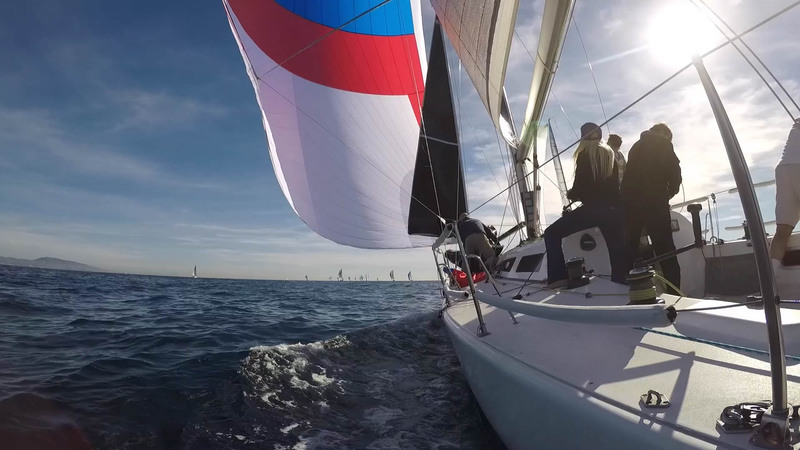 Jibe Mark – We have not had much practice as a team and the jibe was slightly uncoordinated. In addition we had a rigging issue with the spinnaker sheets. Good news we made the jibe, bad news we lost two boats! We did manage to keep the spinnaker up longer than most of our competitors and we rounded the mark in front of the FT-10 Occam’s Razor. Final leg- The upwind battle to the finish saw us lose out to the FT-10. I think we might have picked up some kelp as we did not have the best speed. We have not figured out a kelp system for the keel yet so that is a work in progress! In the end we had a great day in some beautiful conditions. We will need some more practice, and after the race we know what those practices should focus on. Thank you to team Spirit for having me on the boat!